Come one, Come all, Come join us celebrate the long awaited and most highly anticipated video game this century. Enjoy the voice of Gordon Freeman done by Kevin hart. Battle it out on the track go head to head to see who’s king of the wheel. Smash out some tunes on guitar hero, relive the glory days on our retro console and arcade machines. 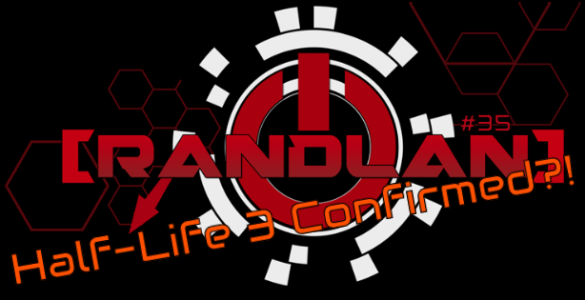 OR join the PC MASTER RACE and become the RandLAN champion! Timetable for PC Event. This is only a comp list there will be plenty for free play games. Info about Race Sims and Old School Consoles to come. Book Here now or Click here for the event page. There will be a menu to order dinner from. Exact details will be posted here before the event. For console gaming just yourself! For PC gaming you will need to bring the following. Get ready for some great PC and console gaming fun! 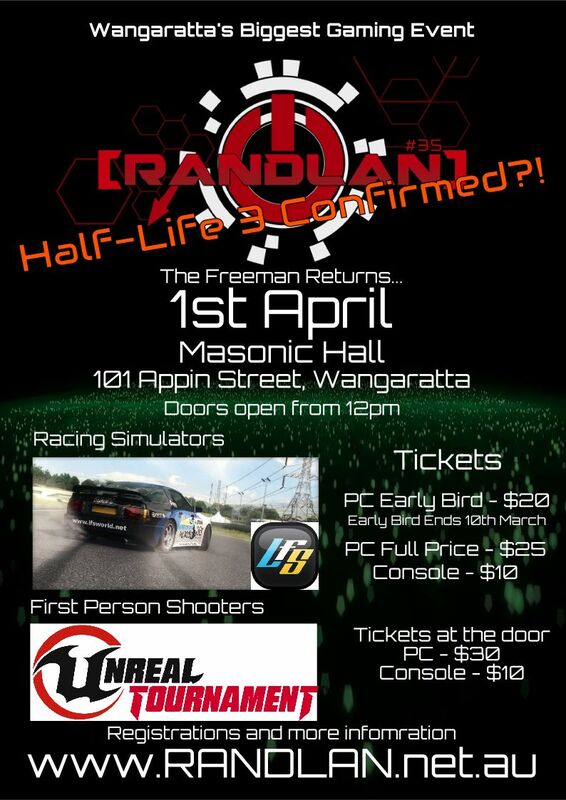 Only 9 Days until RandLAN and the hall is filling up fast with pre-bookings! If you want to reserve a seat pre-book your tickets on our website and make sure you pay so we can hold the seat.